Sometimes it’s better to add some decor to your car as well. There was a time when these vinyl stickers or vinyl decals are nowhere to be found and the things used was bumper stickers, go-fast stickers, and those little peeing Calvin stickers. But along with our technology the quality and variety of car decals and stickers have been transformed. Now you can buy custom-made car decals for your ride with your favorite characters, wording, animation and more. But as there is a large list of decals available for your car. You may need to check out our list of car decals for the better pick and ideas. 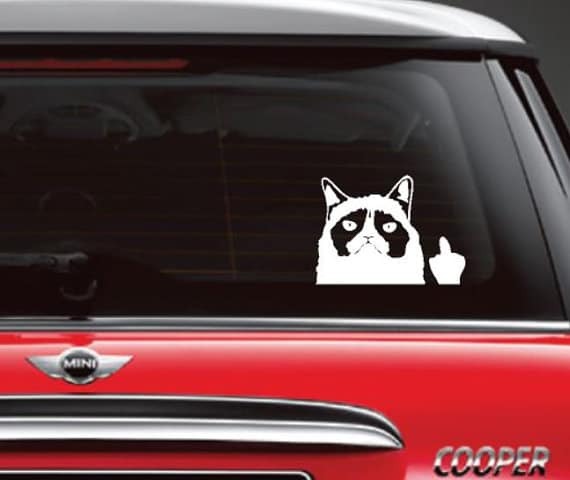 Here in this list of unique car decals and stickers, I have mostly included funny and humor decals for your car which may also include cool rare window wipers and decal for rare mirrors. But you can also look for more related stickers inside those links. You can even ask them to create a custom car sticker for you. This moving tail car sticker is specially designed for cars with a rear window wiper. It can easily be stuck to any smooth and clean surface. It self-adhesive sticker is water-proof & UV Protected and can be removed easily. The dimension of the cat is 10x 6-inch. Get it Here. This Decal is made up of High-Quality glossy vinyl. In this Decal, high-definition graphics makes it stylish and thus looks a perfect gift for a Jeep Enthusiast. It has also some shortcomings like it can not be applied in the Bumpy, Broken, Uneven and Ash surfaces. Get it Here. This decal is made up of high-quality glossy material. It can be installed very easily. It can be applied to any smooth surface. The average outdoor durability of this decal is 5 years while the indoor durability is almost 10 years. Get it Here. A paw print car decal for dogs or cat lovers. This Car Window Vinyl Decal Sticker is 5-inch decal sticker available in white color and is a weatherproof sticker. The average life of this decal sticker is up to 6 years. The one major lack in this sticker is that it can’t be folded. Get it Here. This Decal Sticker can be easily applied to the smooth surface whether it is windows, walls, or laptops. This white decal has the dimension of 4.5in X 8.5in. The outdoor durability of this sticker is almost 6 years and if it is using indoor, its durability will be increased. Get it Here. This Sticker is designed by StickerCiti and is a made in USA brand. It comes With One Skateboard hand decal. It is made up of quality Outdoor Vinyl Material and is a waterproof, and self-adhesive sticker, and can be removed easily. Get it Here. This Decal can be easily installed and has clear application tape over the top for easy application. It is sticker connection brand decal. It is made up of Vinyl PVC material. It is a Glue Sticker, the whole body of the sticker can be placed easily. Get it Here. This sticker can easily be applied to most smooth clean surfaces in windows, cars, lockers, and laptops. This is a White Glue Sticker with the size of 6″ x 1.5″. It is a 100% brand new sticker and is made up of high-quality Vinyl Material. Get it Here. This sticker is made up of high-quality vinyl and comes with 5-year of guarantee while the average life of this sticker is of more than 6 years. It can easily be installed after peeling. This white sticker is a made in USA Bargain has a dimension of 5 x 0.1 x 5.5 inches. Get it Here. This sticker can be easily applied to many different smooth surfaces. It comes with 5 years of guarantee. It can typically be installed on windows, skateboards, cars, and laptops as well. This 5×5 inch product doesn’t have the folding feature like the other stickers. Get it Here. This sticker can be easily applied to many different smooth surfaces. It can typically be installed on windows, skateboards, cars, and laptops as well. This 5×3 inch product doesn’t have the folding feature like the other stickers. It is made up of High-Quality Vinyl. Get it Here. This is a handmade item which is made up of High-Quality of Vinyl. It is a self-adhesive vinyl product that can be easily installed. Also, it can be removed easily and the dimension of this product is 0 x 9 x 4 inches. Get it Here. This sticker is made up of high-quality Oracle Sign Vinyl Material that can be installed on the smooth surfaces. It contains self-adhesive Vinyl and it is designed to withstand the elements for up to 6 years. It is a cartoon Decal. Get it Here. This decal is made up for indoor and outdoor usage and lasts up to average 6 years for indoor use while up to 10 years for outdoor usage. 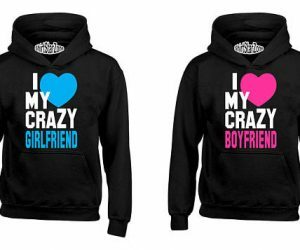 It is available in many colors so customers can choose what they wish. This sticker is ideal for vehicles, windows, and laptops. Get it Here. This 9 x 2-1/2-inch sticker is a die cut product that is easily durable for more than 6 years. It can be applied to most smooth clean surfaces of windows, cars, lockers, and laptops. It has a transparent transfer tape that it can be applied easily. Get it Here. #16. Does Your Trump Sticker Make You Feel Stupid Yet? This Decal is made up made from six-year exterior grade material. This die-cut decal has the clear transfer tape for easy application. It is specially designed for the exterior application. The dimension of this decal is 8-3/4 X 3-inch. Get it Here. This is a die-cut decal that can be applied to most smooth clean surfaces in windows, cars, lockers, laptops etc. The size of this Bumper Decal Sticker is 4 x 4-inch. It has clear transfer tape for easy application. Get it Here. This sticker is available in 3 sets and is made up of black lettering that perfectly combined with a vibrant yellow background color. This 59 gm sticker is very effective during your drive because it reduces your nervousness. Get it Here. This Sticker is made up of high-quality vinyl that lasts for 3-5 years while the outdoor durability of this sticker is more than 7 years. It is a totally environmentally protected and waterproof sticker. It can be applied to the smooth walls or cars. Get it Here. It is environmentally protected sticker that can easily be installed on the smooth surface of the walls. This is made of the top quality of vinyl. It can be installed in the home, bathroom, office, dorm, and store as well. Get it Here. These are the water-resistant decals and is a made up of high-quality of vinyl. Installation of these decals is very easy. These decals can stick easily stick to any clean and flat surface. It is deemed as best for the windows. Get it Here. These include total 33 decals of which 27 are the distinct characters, and a Star Trek: TNG logo. This is a creation of ThinkGeek which can easily stick to any clean, and flat surface. Folding is a lack of this decal. Get it Here. 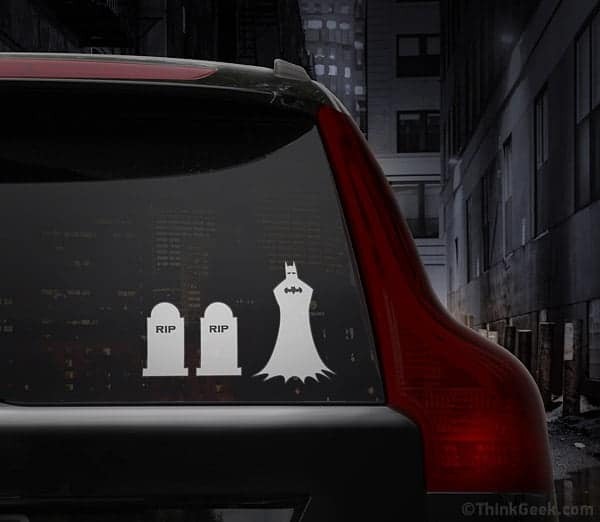 It is a car decal set that features the family of Batman. It includes 3 decals, of which two are the gravestones and one sad Batman. It can stick to any clean & flat surface and is deemed as best on windows. Get it Here. It is a sun and water protected decal and has the dimension of 10×6-inch. This decal is designed for cars with a rear window wiper and can easily be installed on the smooth and clean surfaces. It includes two cats named as happy & grumpy, and four tails as well. Get it Here. This is a water-resistant and UV Protected blue wiper cover. This wiper cover is available in three colors as Red, Green, and Purple. Folding is not available in this product. Apart from this, it is also detachable and interchangeable. Get it Here. Total Flexing Arnold decal is 28-inch. Also, you can choose your desired flexing/wiper arm to be on the right or left whatever you want. It’s made up of high-quality vinyl and is durable up to 6-year and also has an air release technology. Get it Here.